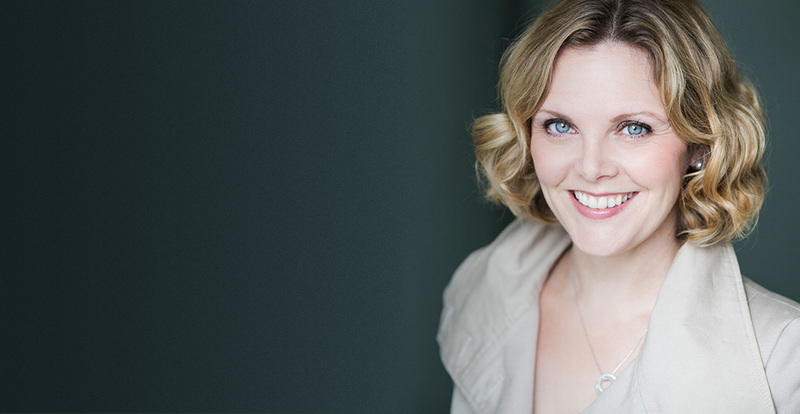 Elin Manahan Thomas is one of the most exceptional sopranos of her generation. Since releasing her début album ‘Eternal Light’ in 2007, with the Orchestra of the Age of Enlightenment, she has performed at many of the world’s most prestigious venues and festivals, and with leading orchestras and conductors. Perhaps most famously known for her performances of baroque masterpieces - such as Handel's Eternal Source of Light Divine at the London 2012 Paralympics Opening Ceremony - Elin is equally at home performing classical and contemporary works. Elin has performed across Europe at major venues and festivals, including: the Edinburgh, Canterbury, Three Choirs, Llangollen, Mostly Mozart and Lufthansa festivals, St John's Smith Square, Wigmore Hall, Royal Albert Hall, Birmingham Town Hall, Bridgewater Hall, Casa de Musica in Porto, Zurich Tonhalle, and the Concertgebouw Amsterdam. In 2008 Elin gave the World Première of Sir John Tavener’s Requiem in Liverpool Cathedral (also recorded for EMI), and later premiered his Love Duet at the Manchester International Festival in 2013. Elin sang in the premiere of Karl Jenkin’s ‘Cantata Memoria’ in October 2016, written to commemorate the Aberfan disaster 50 years earlier; the piece was also released on Deutsche Gramophon records. In May 2018 she was honoured to perform at the Royal Wedding of Prince Harry and Meghan Markle. Orchestras she has worked with include the Halle, Britten Sinfonia, Royal Philharmonic, Academy of Ancient Music, BBC NOW, Royal Liverpool Philharmonic, Bournemouth Symphony, City of London Sinfonia, the Malaysian Philharmonic, and Copenhagen Philharmonic Orchestra. She has performed for many of the world's leading conductors, among them Sir John Eliot Gardiner, Sir Andrew Davis, Harry Christophers, Paul McCreesh, Stephen Layton, Sir Roger Norrington, Vasily Petrenko, Thierry Fischer and the late Richard Hickox. Equally comfortable performing contemporary music, Elin has been fortunate to work with Sir John Tavener, John Rutter, Sir Karl Jenkins, James Macmillan, Judith Weir and Eric Whitacre, among others. Alongside concert performances, Elin is also known for her presenting work. She has been twice nominated for a BAFTA Cymru (Best Newcomer, Best Presenter) and has presented for BBC 4 (The Proms) and BBC 2 Wales (Proms in the Park). Elin regularly presents for Radio Cymru, and is presenter on Radio Three's Early Music Late, on Sunday evenings. Elin has released five solo albums, and appeared as featured soloist on innumerable discs, for labels such as Universal, Naxos, Chandos, Hyperion, Coro, Signum, Collegium and Sain. In 2012, her ‘Vivaldi’ recording with Florilegium was Radio 3’s CD of the Week; BBC Music Magazine awarded the disc five stars; while International Record Review placed it in their ‘Outstanding’ category. Her recordings range from the renaissance to Handel to Elgar and beyond, and 2016 sees the release of a CD of songs by Morfydd Llwyn Owen (previously unrecorded) for Ty Cerdd, and Karl Jenkins' Cantata Aberfan for Deutsche Gramophon, alongside Bryn Terfel. In April 2016 she was Classic FM's Artist of the Week. Due for release in Summer 2018 is an album of songs by Welsh composer/pianist Dilys Edwards, on the Ty Cerdd label, in celebration of Edwards’ birth centenary year. In addition to her singing and presenting, Elin is a passionate advocate of music education, and is an ambassador for Sing Up. She has led choral workshops with Eric Whitacre, masterclasses at RWCMD, University of Oxford, children's concerts with LPO and OAE, and children's operas with Children's Music Workshop. Elin is an Honorary Fellow at RWCMD, and at the Universities of Swansea and Bangor. She is an Ambassador for leading Welsh jewellery brand Clogau.